Top Gun is a name that hasn’t come up in a few years but it is a classic always worth revisiting. Now there is a new player in town bringing back the action of Top Gun in his own special way. This is exciting for fans that have been there since the first day and new interested people who might have just watched the movie couple of days ago. It takes by surprise and is engaging, showcasing the talented stars of the movie. What can be this exciting? The answer is simple. Top Gun came out in 1986 and it was directed by Tony Scott. The star alignment of the stars in the movie is amazing, including Tom Cruise, Kelly McGillis and Val Kilmer. The main heroes are pilots aboard USS Enterprise. He gets sent to attend Top Gun school. Tom Cruise’s Lt. Pete Mitchell or ‘Maverick’ is a reckless flier and he impresses and annoys instructors. He takes a hit after one if his colleagues die and Maverick loses his self-confidence. It takes a while and encouragement from but his fellow pilots and instructors help him get out of trouble and back on his feet. On his way through this adventure he finds new friends, becomes a professional with reckless habits and finds a love interest. In the end of the movie, Maverick returns to Top Gun as a new instructor to teach other future pilots. The film is inspiring and got people interested in flying and aircraft in such a deep level that viewers wanted to obtain props and replicas starting from plane models to helmets and other gear. Now it is finally possible. 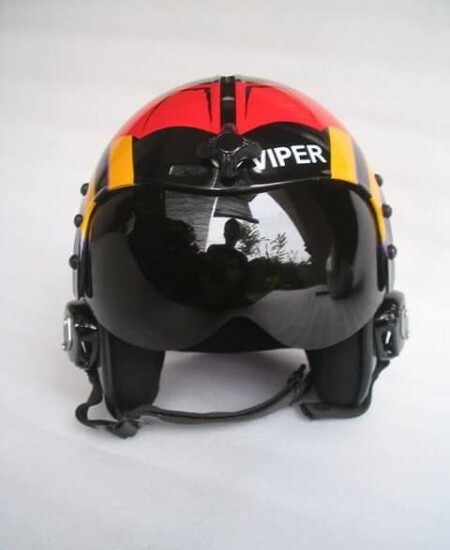 If you want to find a great Top Gun Viper Replica Helmet, look no further. 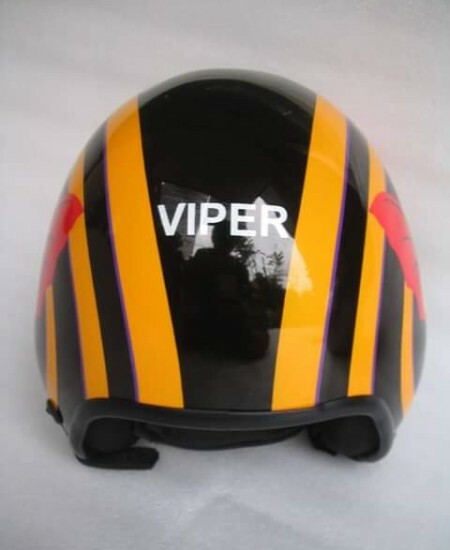 We have in our store now, professionally created different helmets, including a Top Gun Viper Replica Helmet that are made as screen accurate as it is possible, referencing them from film under close scrutiny. A screen accurate F-14 HGU-33 Flight Helmet could be the perfect gift for an enthusiastic fan, or even an amateur collector who has taken an interest in one of these replica helmets. An important aspect to note is, that these replicas are not meant for real flying sincere there are no in-built communications within even though all the inside part is custom made and accurate to the real helmets. Each helmet is custom made and the artist pays a lot of attention and care to each one, therefore it will be greatly appreciated. 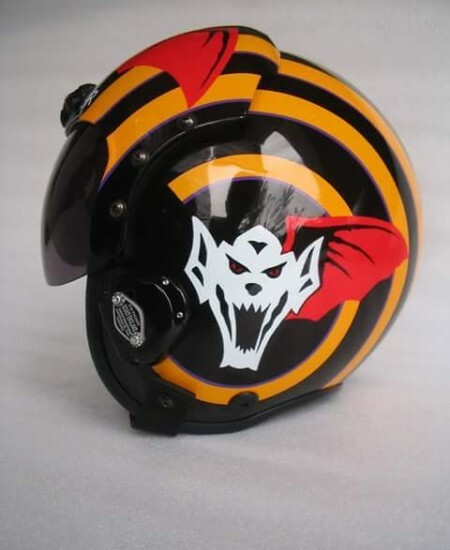 It comes in a competitive price range for such a replica and that means more fans can afford to get one of these replica helmets to call their own. It should be said in the conclusion that finding new and exciting props from great movies is not always the easiest thing to do, since many of the props are low quality or are not screen accurate. This is not the case on this separate occasion. 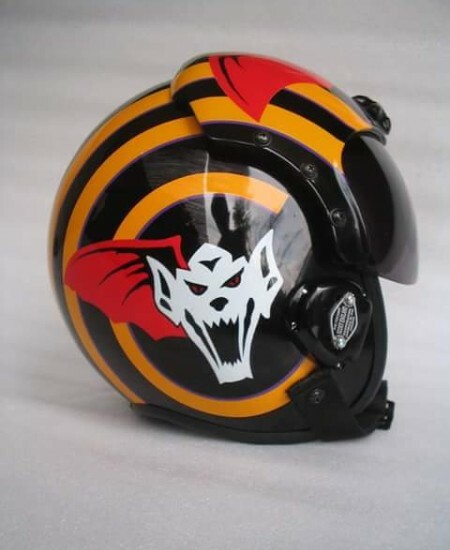 This Top Gun Viper Replica Helmet is quality on offer. Collecting props from an interesting and in-depth movies can re-new love for the movie and inspire new interest in people who have not yet seen it.